Advantages: Absolutely corrosion proof, explosion proof, it is a very good item for coal mine, metal mine and offshore oil plant; Reducing energy by 7 times, the energy you saved for one year using is enough to buy the lamp. Very long lifetime, and no maintenance cost. Electrical: Input: AC85-265V, 50/60HZ, or DC24-36V, no critical to voltage drops. 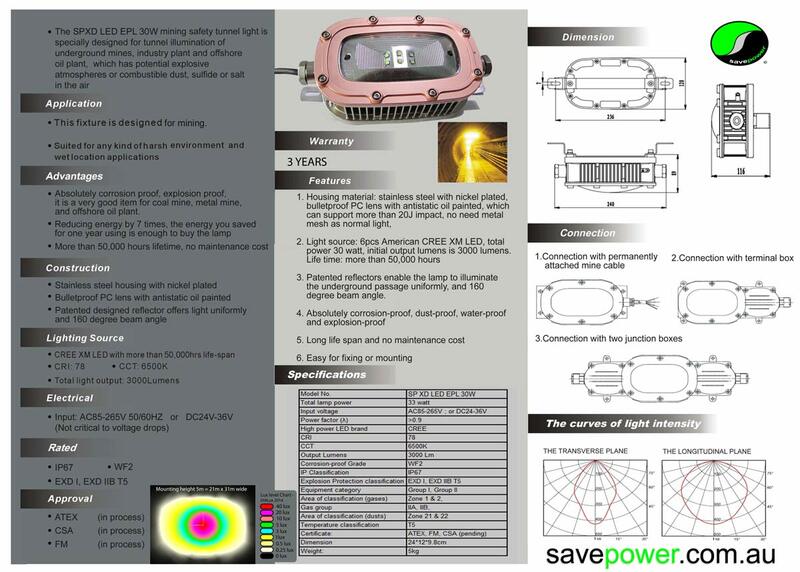 Total power consumption is only 33watt, reducing energy consumption. Long life span, and no maintenance cost, absolutely corrosion proof, explosion proof, dust proof and water proof.